Following nearly eight years of negotiations, 12 Pacific Rim countries – Australia, Brunei, Canada, Chile, Japan, Malaysia, Mexico, New Zealand, Peru, Singapore, the United States and Vietnam – have agreed to take part in the Trans-Pacific Partnership Agreement (TPPA), a sweeping trade deal that affects some 40 percent of the global economy. The International Movement for a Just World (JUST) has closely monitored the TPPA throughout the negotiation period and regards several aspects of the draft text as deeply troubling from the perspective of regional stability, economic feasibility, social justice, and national sovereignty. While advocates of the deal have attempted to allay public criticism, there is a need to reaffirm concerns shared by wide segments of society across all the participating nations. 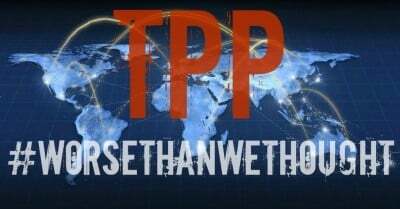 The TPPA aims to enforce a common regulatory framework structured around the norms of American trade policies that govern rules for tariffs and trade disputes, patents and intellectual property, foreign investment, and other areas such as environmental regulations and internet governance. Despite a level of secrecy that barred even elected public representatives of participating countries from access to the deal’s draft text during the negotiating process, advisors from major multinational corporations played a consistent, key role in forming the deal’s proposed measures. This is no ordinary trade deal – it is a fundamental aspect of Washington’s pivot-to-Asia policy, involving the large-scale refocusing of American corporate and military muscle within the heart of the ASEAN region. The TPPA aims at nothing less than formulating new rules for international trade around core US strategic interests, and in the process overshadowing key functions of the World Trade Organization (WTO), a comparatively more even platform for discussing issue of global trade. The agreement does not include China. The exclusion of the region’s largest economy and world’s second-largest (and by some measures largest) economy is no accident. It is a central aspect of the TPPA’s strategic policy function: harnessing the power of the developing nations throughout ASEAN as an economic counterweight to Beijing for the benefit of the United States. As the TPPA is implemented, it is possible that friction could occur between Washington and Beijing, as the former reaps preferential treatment from the agreement, which in turn could affect relations between China and certain ASEAN states to the detriment of peace and stability in the region. Only 4 out of 10 ASEAN states are party to the agreement’s founding group; the trade ties that will emerge from the TPPA, which will reflect the inclusion of some ASEAN states and the exclusion of others, could be inimical to intra-ASEAN harmony. The most egregious aspect of the trade deal is the Investor-State-Dispute Settlement (ISDS) mechanism, which would allow corporations to seek restitution against states in an international arbitration court for the contraction of their potential future profits as a result of government regulations. ISDS-enforced agreements effectively put global multinational companies on a level legal playing field with national governments, thereby limiting the scope of domestic policies that governments can undertake without potentially being challenged for impinging on investor rights. Acquiescing to ISDS provisions systematically undermines the integrity of public institutions in participating countries and their domestic arbitration instruments while significantly lowering the bargaining power of domestic labour and rights advocacy groups. The agreement encompasses numerous areas of concern that intimately relate to human health and well-being – from unimpeded entry of genetically modified products into domestic markets, the gradual elimination of tariffs on alcoholic beverages and tobacco, the neglect of any measures to combat climate-disrupting emissions spurred on increased shipping and mass consumption, to the drastic extension of patents on pharmaceutical products that will impede access to affordable medicines. Furthermore, proposed regulations of the internet will require Internet Service Providers (ISPs) to more actively monitor users to enforce copyright protections at the expense of individual privacy. In actuality, the TPPA obliges signatory countries to reshape their national laws and economic policies to conform to a neo-liberal agenda set by giant multinational corporations, to the benefit of local elites at the expense of the region’s working classes and poor. The agreement’s political undercurrents are apparent in view of the unprecedented measures that the US is attempting to push through that codify legislation to combat the boycott, divestment and sanctions (BDS) movement against Israel – essentially designed to discourage governments around the world from participating in BDS activities by leveraging the incentive of free trade with the US. The economic policies pushed by the US and its allies – backed to the hilt by multinational corporate interests ­– are demonstrably against the public good and show disregard for national sovereignty and political independence. Facing notable domestic opposition, each country must now assess its own situation and decide whether or not to agree to the deal’s terms. It should not be forgotten that Malaysia withdrew from a Malaysia-US Free Trade Agreement negotiation in 2009 because the deal being negotiated was perceived to be against national interests. JUST believes that Malaysia would be better off showing similar courage in the face of the TPPA. It isn’t a question of ‘losing out’ or being ‘left behind’. ASEAN itself has initiated its own vision for free trade, the Regional Cooperation for Economic Partnership (RCEP), with negotiations expected to be completed next year. ASEAN and the region as a whole would be better positioned to throw its weight behind a trade architecture that is inclusive, formulated on a truly level playing field and capable of demonstrating greater respect for national sovereignty and social priorities.